I believe that all art has an audience, it’s just a matter of finding the places that work for your art. I spent years selling in Southern California at the “white tent” out door art shows back when people bought more art. But it doesn’t seem like the pricing ever increased. However there are plenty of artists that do very well and do a circuit across the country. For an artist just starting out, the art market can be a fairly daunting place. Dealers and collectors are often impossible to reach—and even if you do manage to connect, they might not be interested in engaging unless you’re an artist they already know. Plus, there’s an entire foreign lexicon that includes words like “primary market” (and, even more intimidating, “secondary market”), not to mention the commission structure and consignment agreements that can be especially knotty for the uninitiated to decode. Online, things aren’t much easier. 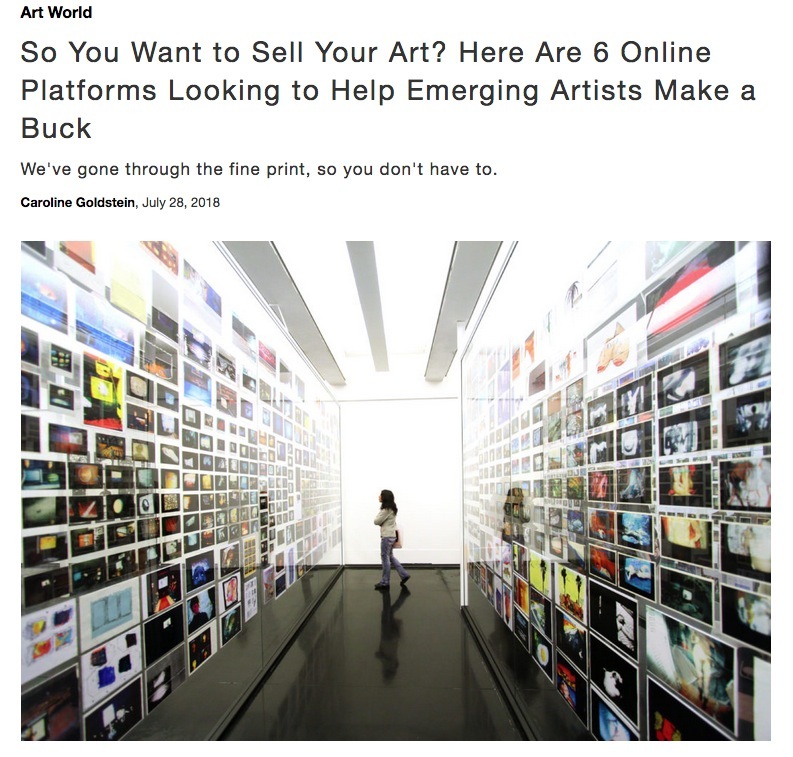 There are more than a dozen websites that claim to offer artists the opportunity to sell their works directly to buyers (as opposed to art e-commerce sites that source the work from an intermediary, like a gallery or publisher). A lot of them look similar—collections organized according to seasons and color schemes, or simply by medium and size—and they usually profess to make art accessible to all. But, as an artist, how do you know which site is worth your time (and, in cases when there’s a profit share, your money)?